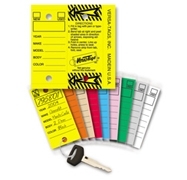 Durable key tags with wrap-around laminate. 250 key tags per box with rings. One color per box.